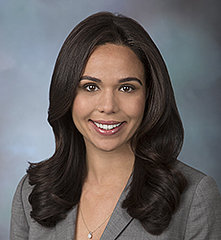 Ms. Jones is Of Counsel with Schertler & Onorato, LLP. Her practice focuses on commercial litigation and government investigations. Ms. Jones also has significant experience in federal employment litigation, including actions under Title VII of the Civil Rights Act of 1964, the Family Medical Leave Act, the Americans with Disabilities Act, and the Age Discrimination in Employment Act of 1967. She has represented clients in many trials and evidentiary hearings and successfully argued numerous dispositive motions. Prior to joining Schertler & Onorato, Ms. Jones was an Assistant Attorney General in the Civil Litigation Division of the Office of the Attorney General for the District of Columbia. There, Ms. Jones defended the District of Columbia, government officials, and employees in a variety of civil actions before the Superior Court of the District of Columbia and the U.S. District Court for the District of Columbia. Ms. Jones served as lead counsel and obtained favorable verdicts in numerous jury trials, including cases alleging race discrimination, whistleblower retaliation, and tortious interference with business relationships. Most recently, Ms. Jones served as lead trial counsel in a class action lawsuit against the District of Columbia for alleged violation of the ADA’s Title II Integration Mandate. Ms. Jones also represented various District of Columbia agencies before administrative tribunals, including the D.C. Office of Employee Appeals, D.C. Office of Administrative Hearings, and D.C. Office of Human Rights, and in appeals from final administrative decisions. Ms. Jones also defended municipal agencies during EEOC investigations and in arbitration proceedings under collective bargaining agreements. Ms. Jones has also successfully mediated many civil and administrative matters negotiating favorable outcomes for her clients. Ms. Jones attended the American University, Washington College of Law. While in law school, Ms. Jones was an Articles Editor for the American University International Law Review. Ms. Jones received her bachelor’s degree in International Relations, concentrating on East Asian Business and Economics, with a minor in History from Boston University. Prior to law school, Ms. Jones worked as an Assistant Casting Director in Las Vegas, NV where she cast actors in commercials and music videos. Ms. Jones is a member of the William B. Bryant American Inn of Court. She also participates in the Herrington Harbour Sailing Association’s racing program where she competes in the Spin B class. In the winter, Ms. Jones competes in the NASTAR ski race program. Ms. Jones is admitted to practice in New York and the District of Columbia.